Republicans on the House Intelligence Committee have completed a draft report concluding there was no collusion or coordination between Donald Trump’s presidential campaign and Russia, a finding that has enraged Democrats on the panel but is sure to please the White House. 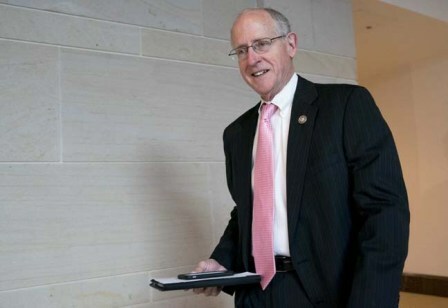 After a yearlong investigation, Texas Rep. Mike Conaway announced Monday that the committee has finished interviewing witnesses and will share the report with Democrats for the first time on Tuesday. Conaway is the Republican leading the House probe, one of several investigations on Russian meddling in the 2016 elections. In addition to the statement on coordination with Russians, the draft picks apart a central assessment made by the U.S. intelligence community shortly after the 2016 election — that Russian meddling in the campaign was intended to help Trump and hurt Democrat Hillary Clinton. Committee aides said they spent hundreds of hours reviewing raw source material used by the intelligence services to make that claim and that it did not meet the appropriate standards. It will include at least 25 ­recommendations, including how to improve election security, respond to cyberattacks and improve counterintelligence efforts. The Senate Intelligence Com­mittee is also investigating the Russian intervention, and is expected to have a bipartisan report out in the coming weeks dealing with election security. The Senate panel is expected to issue findings on the more controversial issue of coordination between the Trump campaign and Russia at a later date.